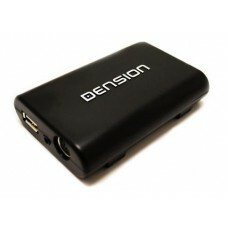 The Dension iPod Interface brings complete integration of the Apple iPod/iPhone or USB with your factory fitted stereo! 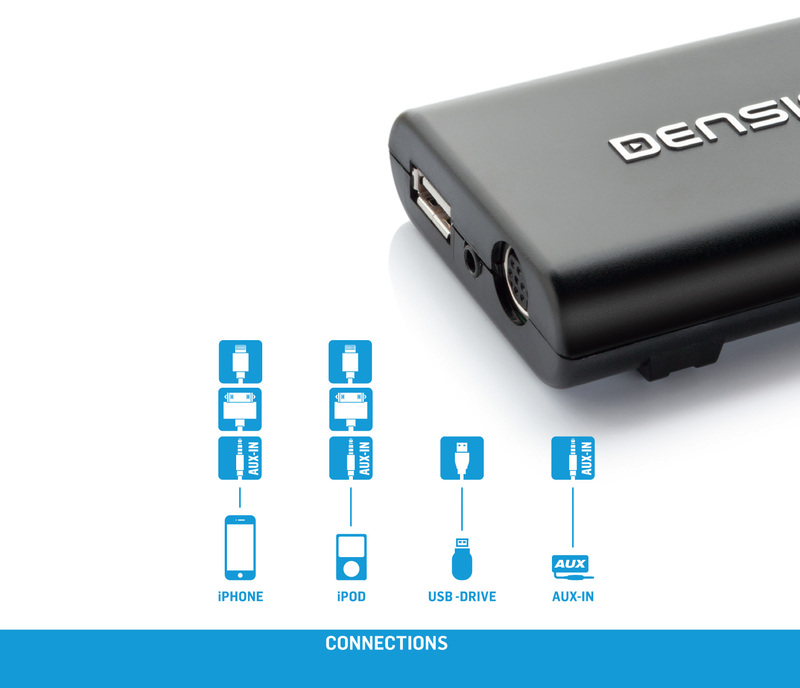 The Dension Gateway 300 iPod car adapter and USB car adapter brings you maximum control of your music sources, with minimum fuss. 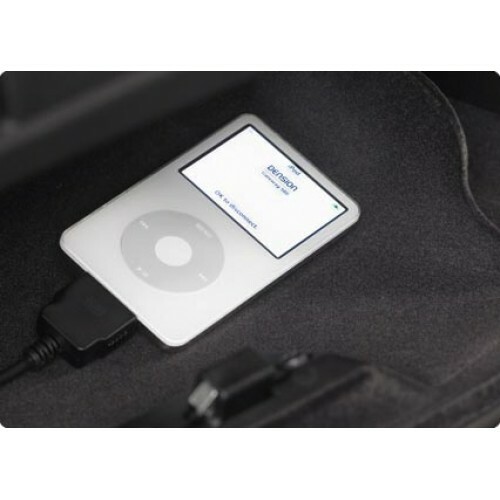 It opens up the car’s original audio system to allow the playback of iPod or USB music, through your entertainment system’s speakers. Tuck your source away in the glove box and you can control the functions of your iPod or USB using the controls on your radio. Depending on your car’s display capability, you will see information displayed on your radio or information cluster telling you the song names, or where you are in the menus. There are no extra boxes to stick on the dashboard, or unsightly cables trailing around the vehicle. The interior of your car looks exactly like it did the day you bought it, it just does a lot more. You must choose the docking cable option for a neater installation by simply having everything tucked away in your glove box or armrest. Dension translates CD changer messages to iPod controls and switches the iPod automatically on and off as you select/deselect the CD changer source and your iPod is charged while connected. The Gateway 300 iPod car adapter and the USB car adapter works like an interpreter between your devices and the car, converting instructions from the car’s controls into a language that your iPod can understand and respond to. When connected into the car, Gateway 300 emulates a CD changer (usually, sometimes it’s an auxiliary input), thus making those controls on the radio available to control the devices connected to it. Of course, every Gateway 300 comes with a comprehensive user manual, but in most cases, you select the CD changer function, then CD6, and a series of menus are opened up to you to control your music. The FFWD key and/or steering wheel controls are then all you need to navigate around your iPod. Gateway 300 will also send all this information to the display in your car, which might be in the radio, between the dials (speed and revs), or in the radio display, so you can always see exactly where you are or what’s playing. If your car is fitted with a CD changer, the Dension Gateway will take its place, but you can retain it by fitting a CD retention kit. Please note though that text capable cars do not support CDC retention. Using the controls on the radio or the steering wheel, the menus of the iPod can then be browsed and music selected. Depending on your cars display capability, you will see information displayed on your radio or information cluster* telling you the song details (e.g. Songs, albums, artists etc), or where you are in the menus. As a rough guide, if your car displays radio station names, it is probably capable of displaying your iPod track information. *The amount of text available depends on the car’s capabilities. Note 1. Media Player 3 (2E) option has to be coded before or after the Gateway installation from Model Year 2011. MDI must be removed. Note 2. Media player 3 (2E) option has to be coded before or after the installation.